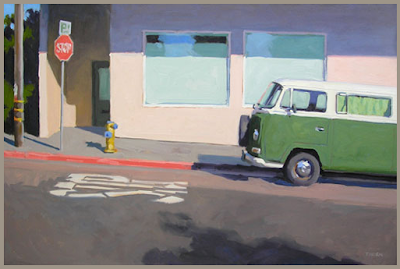 Finally, Timothy Horn, a California painter, painted a Bay Window VW. I posted about him a while back, but could only find him painting Split Windows and a Vanagon. I am loving this guy's work. You can see it here. Awesome stuff BV. You and EP definitely have a way with words. I did a double take here -- did you know John Muir (though a DIFFERENT John Muir) is considered a founder of the wildlife movement - Father of our Natural Parks -- helped to move conservation movement forward? Honest. He is one of the founding fathers of wildlife conservation. Great name, huh!